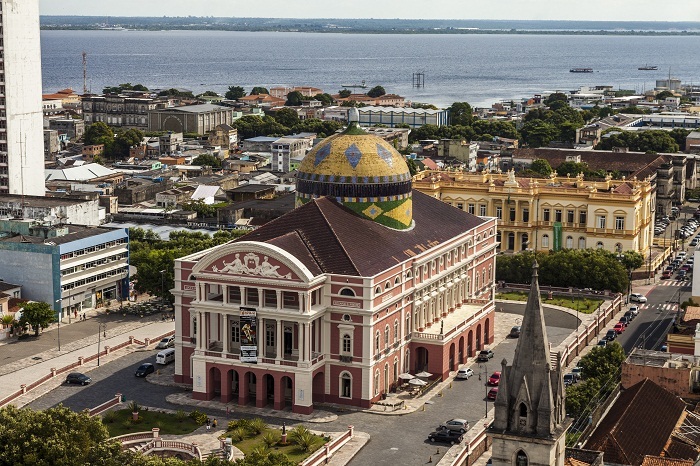 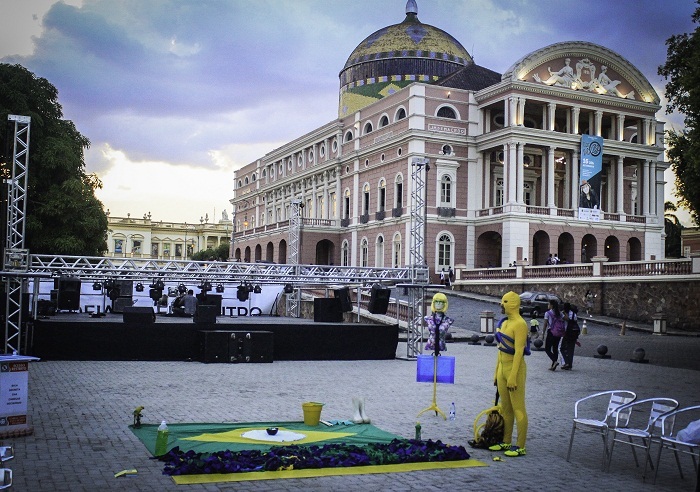 The Amazon Theatre is an impressive opera house which is located in the heart of the Amazon Forest, more precisely in Manaus, the capital city of the State of Amazonas, within the Federative Republic of Brazil. 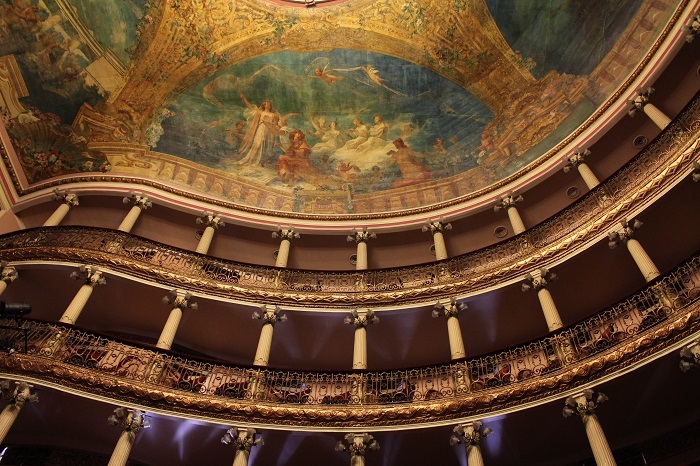 Being the greatest symbol of the city in the northern regions of the country, Amazon Theatre was built in what is mostly considered to be a Renaissance Revival style during the Belle Époque when the rubber boom occurred. 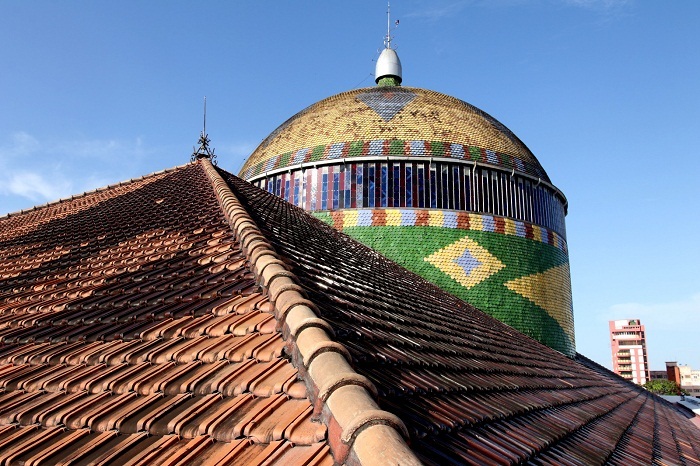 Designed by the Italian architect Celestial Sacardim, the construction for this symbolic piece began in 1884, where the construction was stalled a bit throughout the years, which resulted in completion and inauguration on 31 December 1896. 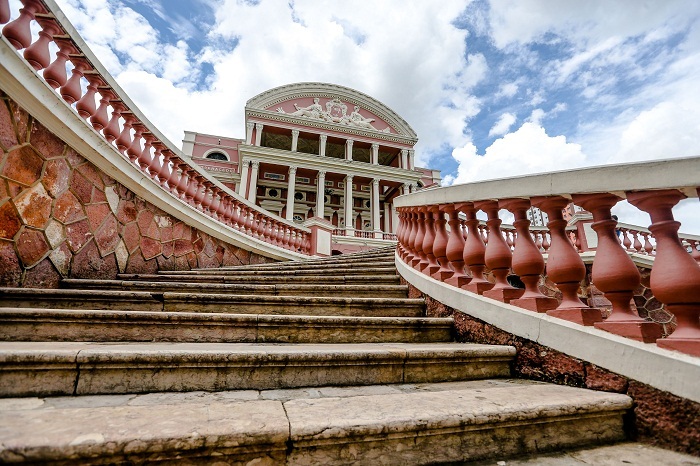 As the work was stalled under previous governments, materials were needed to be brought in from overseas, such as steel from England, marble from Italy, and even roof tiles and furniture from France. 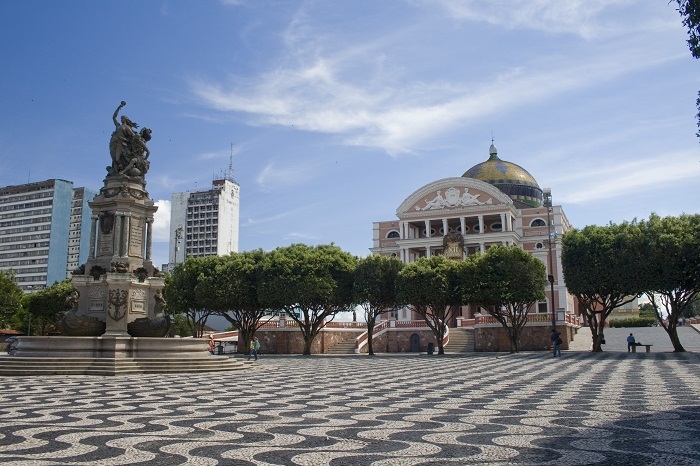 The exterior features ornate columns and a central rotunda emblazoned with the design of the newly minted flag of the Republic, which gave the building the pop-up look in the neighborhood. 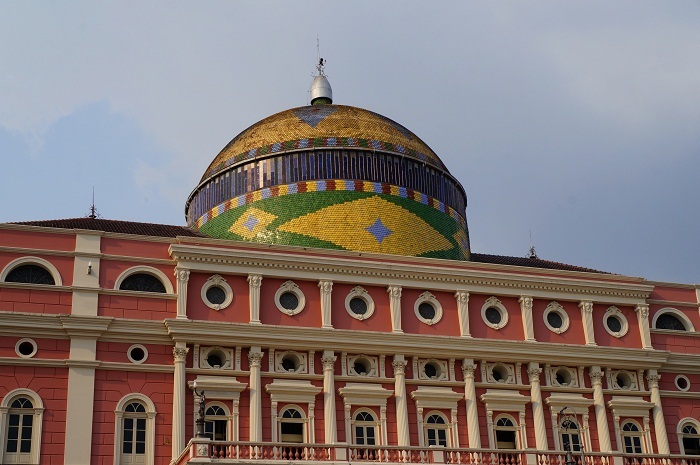 In addition, there are 36,000 decorated ceramic tiles that give the well known appearance of the theatre. 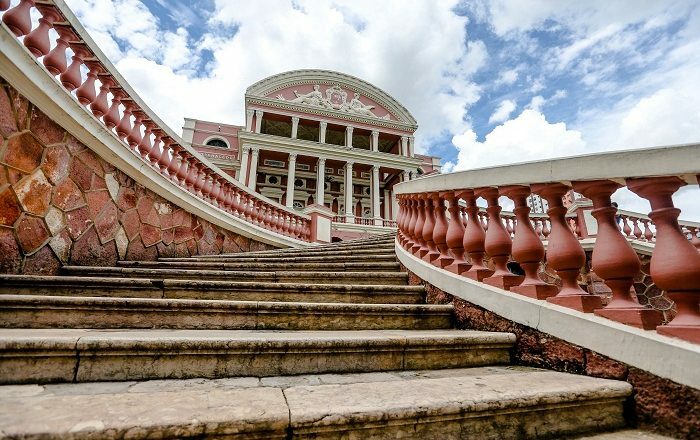 Standing at an elevation of 92 meters (302 feet) above the sea and the Amazon River, it is certainly a lavish structure that can compete with the interesting buildings which follow the same architectural style, all around Europe. 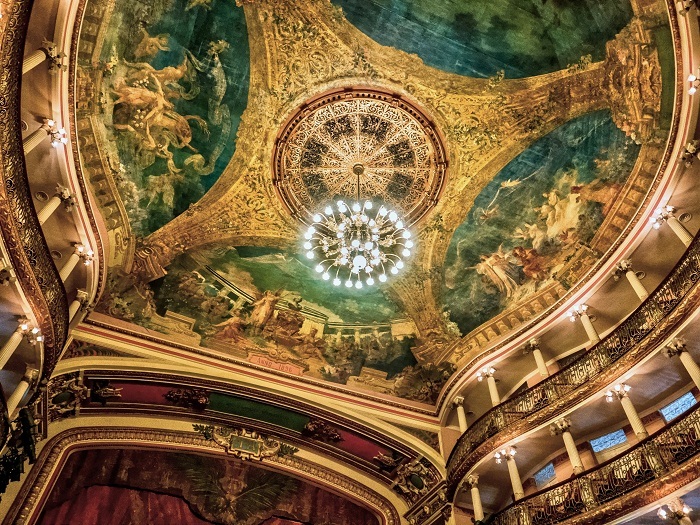 Still, the interior is also magnificent as the exterior, where this time the Italian artist Domenico de Angelis the Younger did most of the work, while the artist Crispim do Amaral created the curtain that is named “Meeting of the Waters”. 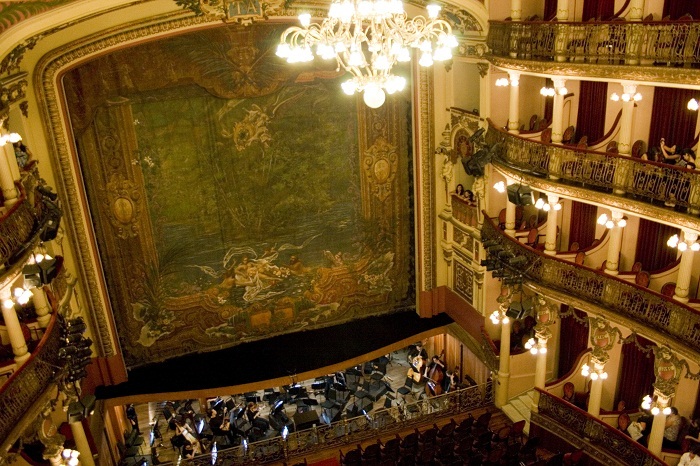 The main show room has the capacity of accommodating 701 spectators, and the first ever performance was with the famous Enrico Caruso which occurred on 7 January 1897. 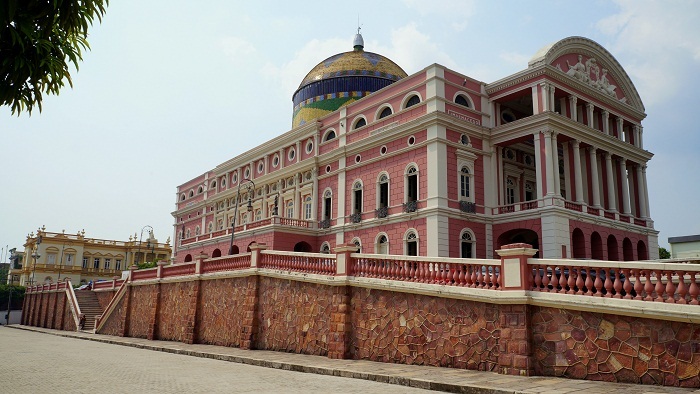 Unfortunately, with the invention of artificial rubber, the main source of income to the city was depleted, and the wealthy people who somehow managed to bring the life in the city, abandoned the city, which in turn made for the opera house to be closed down. 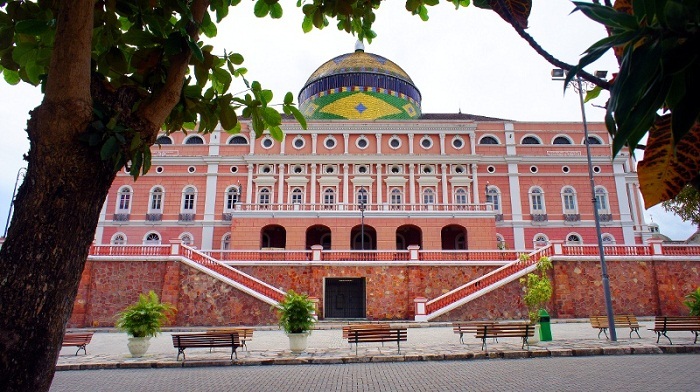 The building was left with no performances and to the harsh weather conditions, where in 2001, the new state government successfully tried to revive the structure and nowadays the Amazon Theatre is one of the greatest buildings where artists would like to perform. 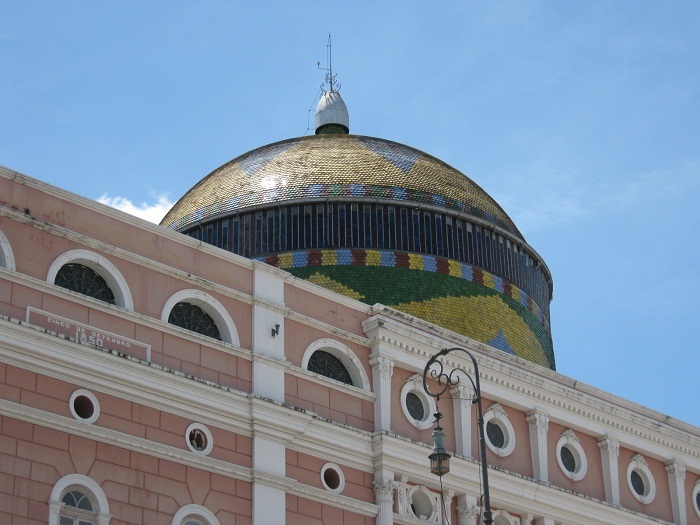 Declared also as a National Historic Heritage of Brazil, this great symbol of Manaus can definitely be considered one of the greatest monuments within Brazil with which the nation can be proud of.